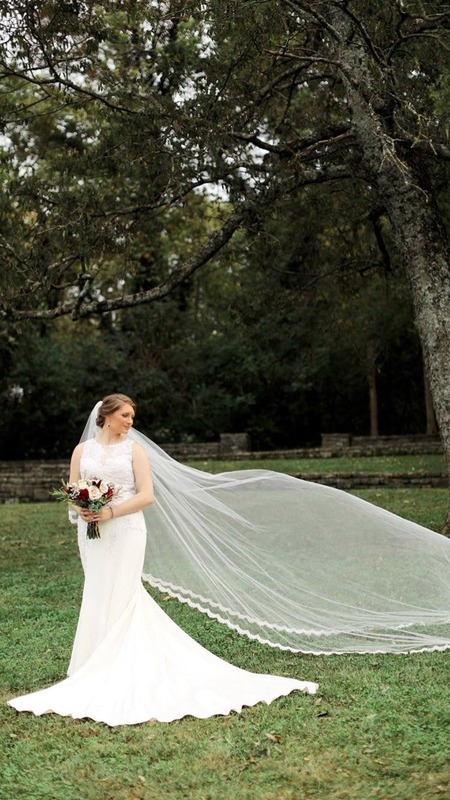 Delicately scalloped Alençon lace is stitched to the softly curving edge of this chapel length veil. The understated lace trimming travels all the way up to the comb for a look that is absolutely romantic. I had a custom Rae veil with an added blusher. I was completely blown away by the final product. The detail and quality of the lace was unparalleled. I can’t wait to pass the veil on as an heirloom item to my future children. Thank you for helping me complete my bridal look!